In January 2017, the Sailor Moon R movie played in movie theaters across the United States. I was ecstatic that I was finally going to be able to see Sailor Moon in theaters for the first time. It had been quite some time since I had seen the Sailor Moon R movie–I think the last time was when it appeared on Toonami. Of course, the movie was as exciting and entertaining just as I had remembered, however, there was one scene that completely surprised me. Sailor Moon being everyone’s mom is pretty much the last thing I would say to describe Sailor Moon. In fact, throughout the second season of Sailor Moon, Chibiusa struggles to accept that Usagi is indeed her mother’s younger self. Usagi is the complete opposite of her mother–she’s childlike, self-centered, klutzy and a bit of a crybaby. 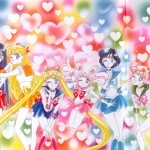 Usagi and Chibiusa act more like sisters rather than mother and daughter. Personally, I think supporting your friends isn’t particularly “motherly”–I just call that being a good friend. 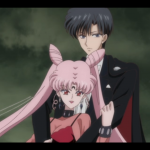 However, the question remains–in a season where Usagi is definitely not portrayed as a mother to Chibiusa, why was there a need for Chibiusa to connect Sailor Moon’s role with motherhood? I found myself confronting this question yet again, but this time, it was in the form of a dissertation. In 2011, Japanese feminist and scholar, Akiko Sugawa-Shimada published her dissertation on magical girl anime and Japanese audience reactions. It’s written in English and available to read for free. In the dissertation, Sugawa-Shimada surveys several magical girl anime from Sally the Witch, to Creamy Mami as well as Sailor Moon. In a lot of ways, Sailor Moon was a culmination of various magical girl tropes that had developed since the genre began in 1966. Beginning with elementary school protagonists in the 60s, the genre not only contained magical transformations, but eventually sexual transformations as well. In Creamy Mami, for example, the grade school protagonist Yu transforms into a sexier, older version of herself so she can perform as an idol. So, in some ways, it makes sense that in the second season of Sailor Moon, our magical girl heroine confronts the far future where her identity and role has transformed yet again–this time into a wife and mother. 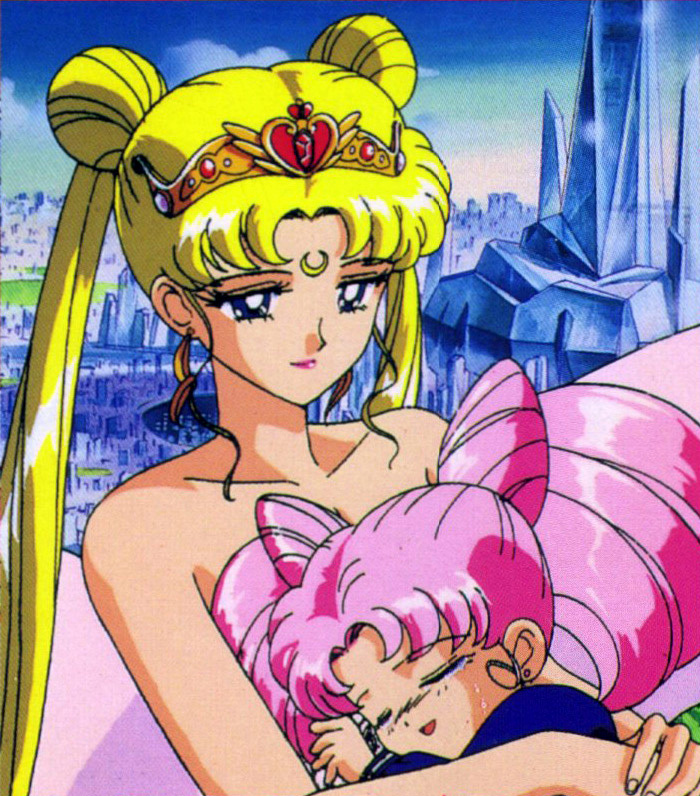 And from what I can gather, Sailor Moon, is one of the few, if not only, magical girls is who also a biological mother. It’s surprising to me that those involved with the anime felt the need to connect Sailor Moon’s superhero status to motherhood–after all, we know Sailor Moon goes on to marry Tuxedo Mask and have a child. What more do you need? Well, maybe a bit more considering what happens in the manga. As I’ve written about previously, the concept of shōjo is the time period between puberty and marriage. In the Sailor Moon universe, we know that Usagi can no longer transform into Sailor Moon once she gets married and births Chibiusa. But what about the other sailor guardians? What does their future hold? In the manga, we see the guardians in their sailor uniforms. I think this strongly implies they are not married and they do not have children. 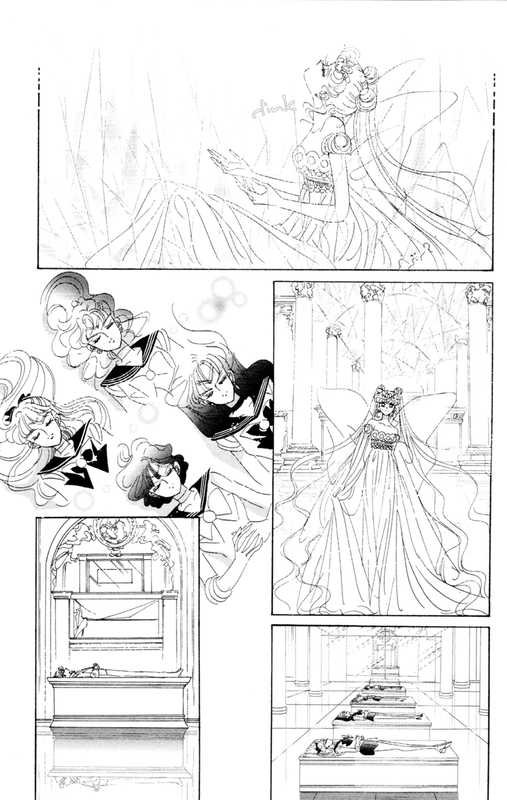 Naoko Takeuchi seems to be pretty emphatic on this point–that outside of Usagi, none of the sailor guardians get married and have children. And the one short story where the sailor guardians are married and have children, it’s not canon. In Parallel Sailor Moon, we see the inner guardians discuss their stressful, but happy lives as parents, wives and employees. Written in 1999 after both the manga and anime ended, this story seems to bring a bit of cold-hard reality to the Sailor Moon universe. Despite these instances of trying to fit motherhood into Sailor Moon’s identity, it seems that Sailor Moon’s identity as a hero and friend was what has made a lasting impression. What about you? Do you think Sailor Moon is like a mother to everyone? Did Sailor Moon’s identity as a mother make an impression on you? This was an interesting post with fascinating points and examination. Thank you for sharing! I think what Ikuhara said kind of exemplifies one of those issues. I don’t remember who the scholar was, or other JP feminists, but they’ve mentioned that even in mahou shojo with some progressive themes, they still reassert femininity too hard on Japanese, female audiences and it’s a way of keeping the binary and status quo in places. After thinking about that, I had to re-analyze a lot. For me, as a Black woman in the US, I regularly deal with being denied a lot of femininity, so I like that aspect in mahou shojo. But in Japan, I can’t imagine how that feels to have that always shoved on you. I notice that pattern comes up so often too, and not really in an organic fashion. BSSM is one thing, where Usagi does become a mom, but Naoko balanced that and the other feminine points with so much more. (And more gender and sexuality spread out than a lot of mahou shojo.) But then we have a show like Ojamajo Doremi, where a season or two in, and the girls are raising a baby? Even PreCure gets this issue. This insistence of even little girls being prepped to become moms does feel rather side-eye, and it’s kind of obnoxious frankly on how they push that on children. (Because they couldn’t be dealing with themes more relevant to their growth and age?) The fact that young girls were more interested in the senshi than the motherhood and romantic themes kind of echoes that, and how vapid and questionable it is that men keep trying to shove these themes at girls. 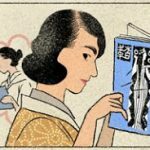 But I do think there’s space for some material to cover those issues, and it is true that a lot of women in Japan (both everyday women, and women in political seats) often address issues that stem from their role as a mom. It’s rather interesting to me instead, that they don’t aim more dorama or josei at adult women facing these issues than trying to reassert motherhood to young girls. I feel like it’s especially troublesome that they keep trying to push that theme on girls when the anime and other media aimed at boys doesn’t push themes of fatherhood on them, and that with the way the economy is, so many young adults and adults (men, women, any gender) are talking about how hard it is to have a family. It seems very tone deaf of the men that aim this kind of media and merchandise at girls. As for Sailor Moon though, I do enjoy that aspect of it. I think Naoko probably handles it best, not just because she’s a woman, but maybe her own dreams play into how well she handled it. That she later had to deal with miscarriages and hard births also brings me to believe that she would still handle those themes more eloquent, sincere and organic than most of the men that try to include maternal themes in female aimed media. Thank you for sharing that link, as well. I look forward to reading more of what she has to say. I agree! Thank you for your thoughtful response! It seems pretty obvious to me why Usagi is identified as “everyone’s mom”, because she embodies all the typical feminine motherhood traits, especially those that would be idealized in the still fairly sexist Japan. She puts others’ needs before her own, she’s kind and caring (most of the time), happy and outgoing, strives to be a feminine “lady”, tries to hide her own sorrows and problems, and is willing to sacrifice her own life for her loved ones, including her man. And her biggest dream is to get married and have children. One thing that always bugged me in the series is that all the other senshi have dreams of their own that remain unfulfilled at the end of the series, and probably always will be. The others all sacrifice their own dreams and goals to support Usagi’s. She gets to have her fairytale life of marrying the prince and having a little princess for a daughter (even if she can be a royal brat) and rule over Neo Tokyo in a literal crystal palace. From Ami’s dream to become a doctor (the Asian ideal) to Mako’s dream of owning a flower shop and bakery (reassuringly feminine occupations for the Inners’ biggest tomboy), they all go unfulfilled. The only two who even come close are Haruka and Michiru, and that’s because part of their dreams mirror Usagi’s, as seen in the SuperS manga. The two of them live as a family, along with Setsuna, and raise the young Hotaru. Michiru and Setsuna take on motherly roles while Haruka takes the decidedly non-traditional role of “papa”. But Haruka’s dream of being a racer and Michiru’s dream of becoming a violinist will likely never come to pass either. They all devote their lives to Usagi’s happiness alone. And ultimately, it doesn’t make sense, because why wouldn’t Usagi allow her friends to pursue their dreams in her utopian society during their downtime? We’re to believe they can be average schoolgirls fighting crime, but then you can’t be a doctor and still fight bad guys? Usagi losing her transformation powers upon becoming a mother really bothers me as well. Like, okay, you reproduced, your purpose in life is fulfilled. But we know she becomes Sailor Cosmos later, so I guess Naoko changed her mind. I hope so. Guess I got a little sidetracked there, but it always bothered me that in this world of interesting characters and Girl Power the most important focus is still given to the main character who wants to live the princess life and get married and have kids. Oh yeah, I think Usagi fulfills a lot of those feminine traits, at the same time, she is also portrayed as childlike, unladylike and definitely not a mother figure to Chibiusa. Of course, Usagi as Neo Queen Serenity fulfills all the check marks even if teenage Usagi doesn’t. Sometimes I think the single sailor senshi as representative of Naoko at the time–by the time Sailor Moon finished, Naoko was 30 years old and unmarried. 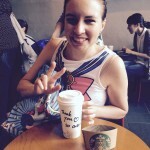 She talks about how she got dumped once for “thinking about Sailor Moon too much.” She dedicated her life to Sailor Moon. In the manga, I think the inner senshi are pretty ok with their mission in life. I wish it was a bit more than about Usagi, but if you want to protect Earth, you gotta protect Usagi. But yeah, as much as Sailor Moon is about girl power, it does walk a line by being pretty conservative too. Well, teenage Usagi is the “unlikely hero” because of all these traits, but that means she has to grow and mature and overcome it all to be the queen of the future. However… she kind of gets a pass that way. School? Job? Who cares about all that when you’re going to marry a prince and literally rule over the entire world? Remember how Neo Queen Serenity’s letter had a kanji crossed out? Usagi didn’t bother much with her education before becoming supreme ruler of the planet. Naoko seriously got dumped once for “thinking about Sailor Moon too much”?? Damn. Their loss, I guess, but now she kind of gets to live the princess life like Usagi. I’d say she’s earned it, though. By the way, do you have a source on that? It’s why I say Sailor Moon is actually a mixed bag for young girls. It preaches Grrl Powah on the one hand, while reinforcing traditional gender roles on the other. Yeah, sometimes I think the whole Neo Queen Serenity thing is just another version of the “Good Wife, Wise Mother” thing. She’s queen of the house, in other words. If you have the old Tokyopop books, it should be in one of her notes. I can see if I can find it later. Heh, “queen of the house”, that’s a good way to put it. Makes me wonder exactly what she does all day when there aren’t any villains to fight. If you think about it, being the ruler of an entire planet would be a lot of work, and Usagi can barely handle school. Oh yes, the old TokyoPop manga was my foot in the door to learning about uncensored Sailor Moon, even though it got pretty butchered and Americanized too. But hey, I learned Zoisite was actually a guy, and “Bunny” was a fair compromise for “Usagi”. They also didn’t shy away from the deaths. But I don’t own many copies myself, my friend and I kind of passed the ones we acquired between each other and it’s only recently that I’ve thought about getting the newer, better manga translations, but they’ve fallen a little low on my priority list. And as another off-topic rambling, am I the only one really bugged by “guardian” replacing “soldier”, even though that’s not an accurate translation of “senshi”? I was okay with it for PGSM and tolerant of it for Crystal, but not the original anime and manga. Feels like another way they’re trying to “soften up” the image of the girls, instead of letting them be the warriors that they are. Oh totally! Guardian sounds so much more passive than soldier. But I don’t mind too much–it’s much better than scout! So, maybe there wasn’t a specific case. 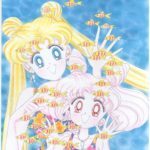 I’ve been doing a deep dive of motherhood as portrayed in Sailor Moon which is how I stumbled upon this post. This is really enlightening for me, and I will definitely be mentioning it in due time. I just did a little background research into the Jungian “mother” archetype, and Ikuhara’s comments of presenting a mother “binary” (Xenian versus Usagi) is exactly how the mother archetype is presented to us: we have the mother as the nurturer and the mother as the destroyer. It makes sense that Ikuhara, arguably through a male lense, would offer this kind of contrast. However, I feel that Usagi in the manga is a bit more nuanced than this. I’d love to talk with you more about it! I’d love to learn more about “mother as destroyer” archetype!